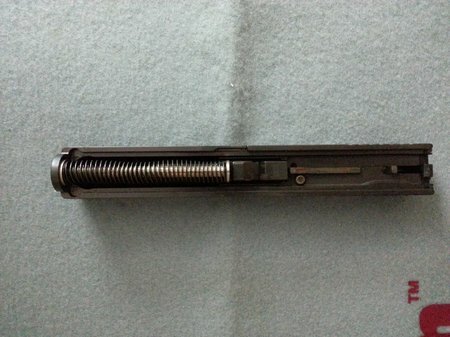 There are replacement recoil springs for the Glock Gen 4 that are not dual springs like the OEM recoil springs. Glock states that the new dual spring design reduces recoil more than the single spring. If it does…how much? I received this single spring Glock 22 Gen 4 stainless steel recoil spring from I Love My Glock a few months ago and finally got a chance to try it out. It is designed to fit the Gen 4 Glocks with the larger slide recess. This recoil spring is the same weight as the factory dual spring at 17 lbs. It’s a drop in replacement and fits perfect. It features a stainless steel guide rod in lieu of the polymer OEM. 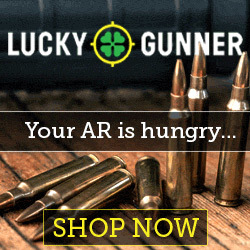 I shot 150 rounds of 40 S&W through my Glock 22 with the ISMI single spring recoil spring. It functioned 100%. I could not tell the difference in recoil between the dual spring and the single spring although I did not have 2 Glock 22s to shoot side by side but it felt pretty much the same. 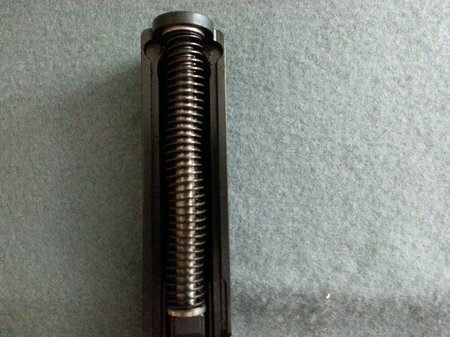 Glock recommends that you replace the recoil spring after 3500 rounds. 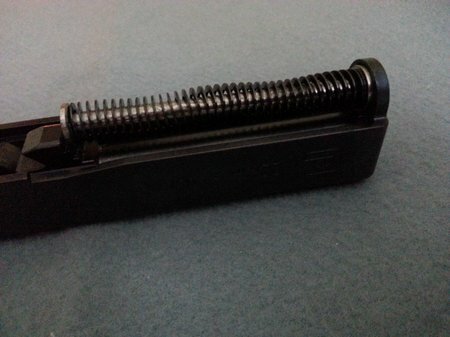 This recoil spring is a great replacement and at $25 it’s a bargain for a stainless steel guide rod recoil spring. 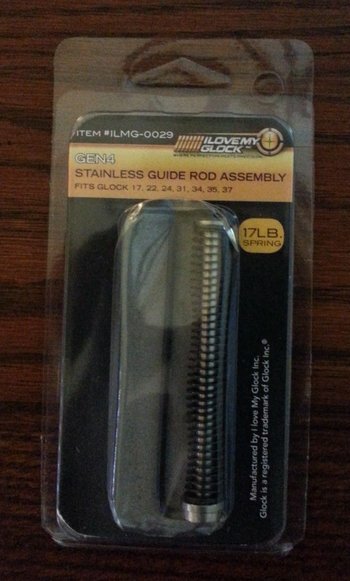 The OEM Glock guide rods are polymer. This entry was posted in Handgun Accessories and tagged glock gen 4 recoil spring by Kevin Mazza. Bookmark the permalink.